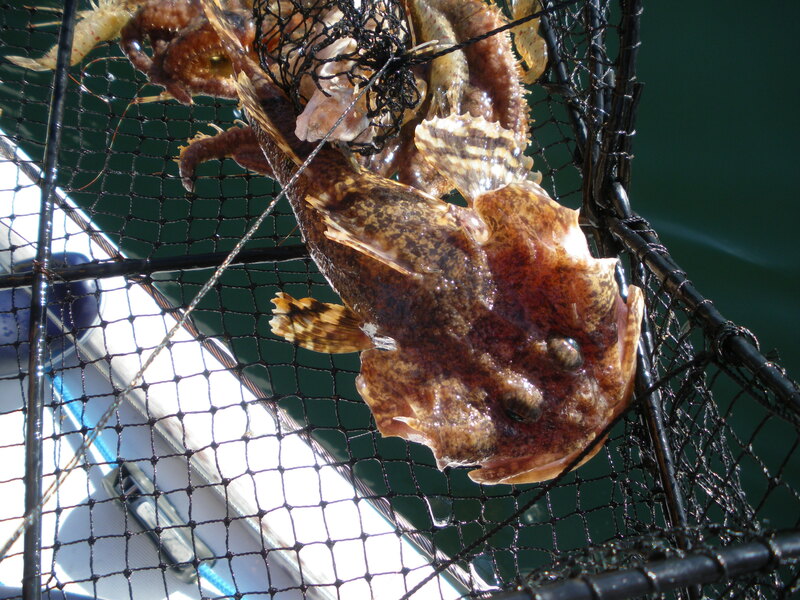 Our prawn trap contains a starfish, a small rock fish, and only 2 dozen spot prawns this morning. Sounds like somebody ate our prawns. It is the second glorious day in a row and we just rave in the sunshine although our two crew are still wearing their matching waterproof two-piece outfits and their boots. We go through many rock gardens and see many otters along the way. The crew lodge a complaint about not seeing a whale today during our short leg to Craig. The spotter (me) was busy with the daily chores down below most of the way it seems. 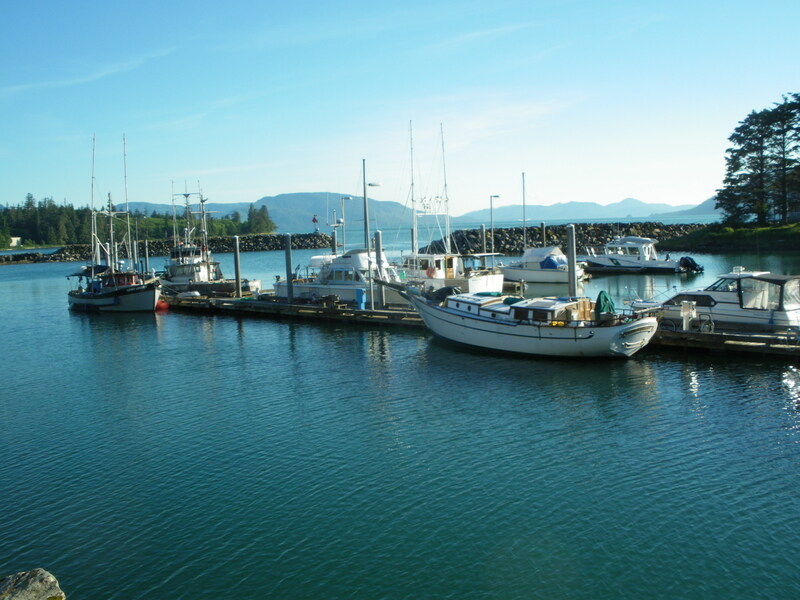 We arrive in Craig early to fuel, top up the water and fill up the galley fridge to the rim again as there will be no shopping until Prince Rupert now. It is quite a little circus trick to come back to the boat with a buggy size load and make it disappear in the small fridge, or below the floor boards, or in the small cool compartment along the hull. When that is done, we head off to town for dinner, a treat! 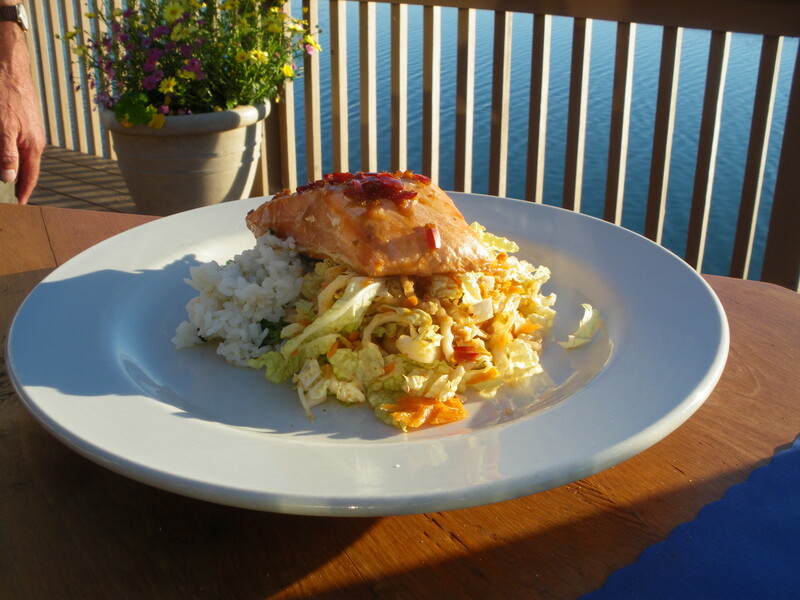 Mike has secured the best table at the Shelter Cove Lodge, a fisherman heaven and we sit on the patio over the water and the docks. The dinner is superb as they have hired a very gifted chef from Washington state. 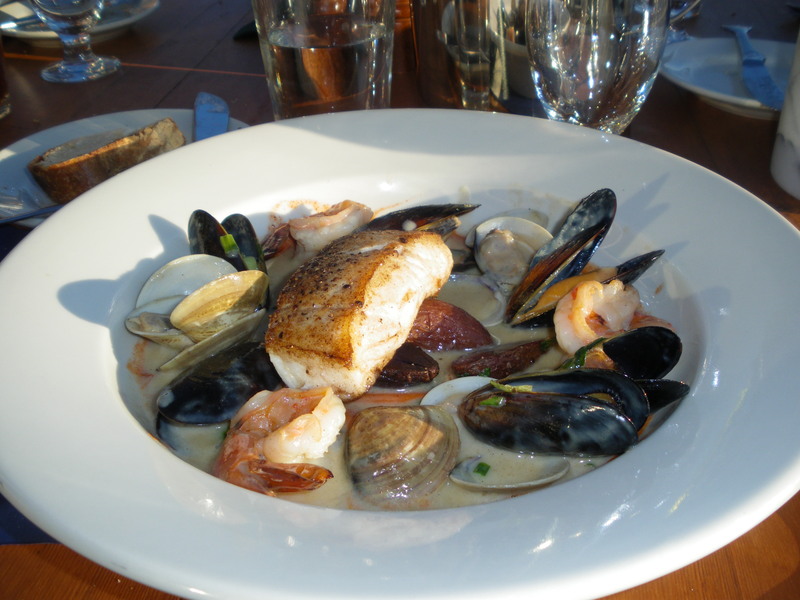 We order a Coconut Chai halibut with clams and mussels, done in cream, coconut milk and seasoned with Cardamom, star anise, cinnamon, white pepper and chilis. Also a roasted salmon with a ginger chili and a halibut dory in dill sauce. The clam chowder appetizer was the best I ever tasted. I will have to go back to Craig just for that. 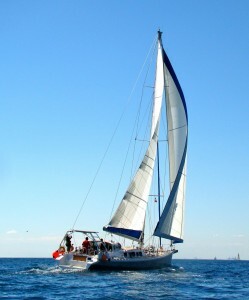 The lodge is very pleasant and the guests go out in very modern boats with their private guide. They seem to fill up their entire quota over 3 days and go home with 100 pounds of fish, filleted, packaged, labelled and shipped home. Nice bounty. We are inspired and buy a few herrings so we can try for halibut ourselves. (will report on that in the next few days). Craig is a nice small town with clear water in the harbour. 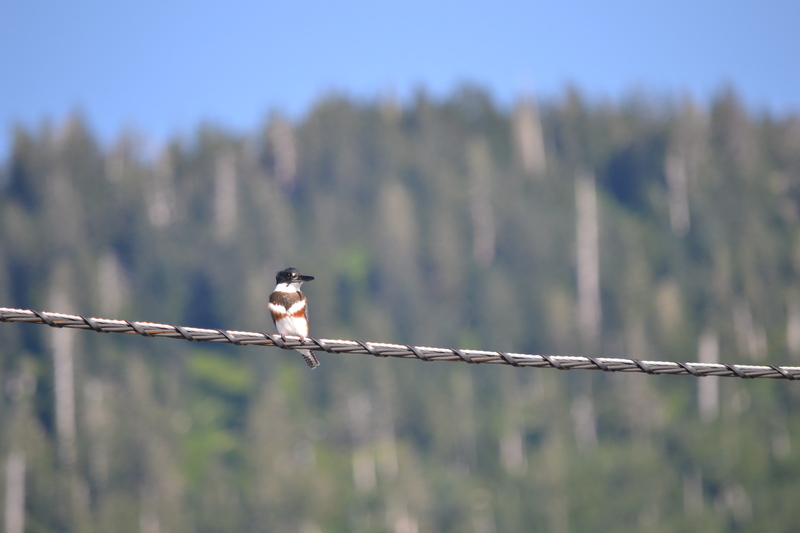 A kingfisher perched on a wire by the docks. 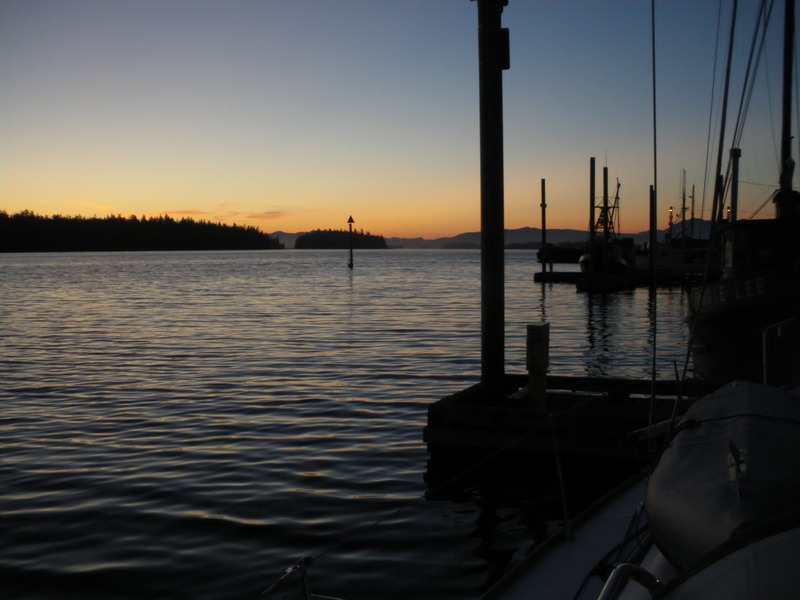 This entry was posted in The Log and tagged alaska, Craig, Inside pasage, sailing, Shelter Cove Lodge. Bookmark the permalink.